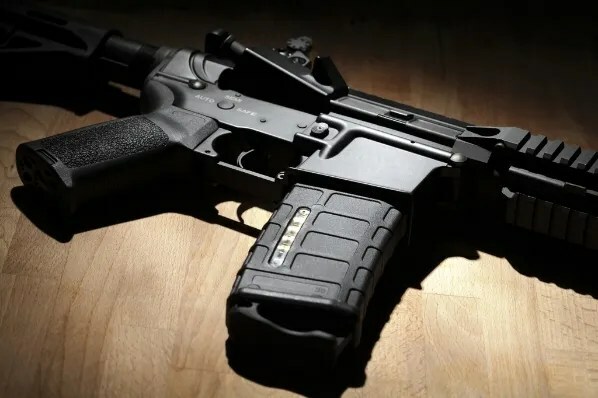 There’s nothing remotely funny about the hideous Orlando massacre, but there’s something awfully funny about a New York Daily News journo’s claim that he experienced “PTSD” after firing an AR-15 rifle on one single occasion in a gun shop. And also bruised his poor little shoulder on the recoil and heard a “horrifying” noise when the gun went bang. It is odd that the reporter is writing about this in the wake of the massacre because, in point of fact, and as our intrepid reporter Gersh Kuntzman himself admits, mass-murderer Omar Mateen didn’t use an AR-15 when he killed 49 patrons of an Orlando nightclub and wounded 53 others early in the morning of June 5. But all good liberals are trying to get the AR-15 banned (and pinning the blame for the massacre on the National Rifle Association, which opposes an AR-15 ban)—so what’s the diff? “I’ve shot pistols before, but never something like an AR-15. Squeeze lightly on the trigger and the resulting explosion of firepower is humbling and deafening (even with ear protection). “I’m a 135 lb. female and have absolutely zero fear of firing an AR-15. And. I can tell you, without a doubt, it does NOT sound like a cannon, nor does it feel like a bazooka”. Ratcliff posted video of children firing AR-15s, including her own 7-year-old daughter.